[S3] GRO Indexes 1897/Q1 Hambledon Volume 2a Page 155. [S3] GRO Indexes 1899/Q2 Hambledon Volume 2a Page 95. Frederick William Hickman was born in 1887 in Smalley, Derbyshire, England.1 He was the son of George Robert Hickman and Helen Ann Green. He was the son of George Robert Hickman and Helen Ann Hickman in the 1891 census in Wooley, Brackenfield, Derbyshire, England.2 He was the son of George Robert Hickman and Helen Ann Hickman in the 1901 census in Dancers Hill, South Mimms, Hertfordshire, England.3 He appeared in the household as a visitor of Harry Hickman and Rosa Hickman in the 1911 census in Finnart House Stables Oatlands Drive, Weybridge, Surrey, England. Frederick was a domestic gardener and Harry was his Uncle.4,5 Frederick's death on the records is stated as presumed on 16 May 1915 during the Battle of Festubert. He was a Private G3825 in The Queens Regiment, Royal West Surrey.6 His father George received £7 4s 9d on 31 July 1916 and £3 on 25 August 1919 as war gratuity regarding his death.7 Frederick memory is commemorated on Le Touret Memorial and the records state his father lives.8 Frederick also appears on plaque in St John the Baptist, Wonersh, Surrey, England. [S3] GRO Indexes 1887/Q3 Belper Volume 7b Page 566. [S41891] UK Census 1891 (RG12) - 5 April 1891 RG12 Piece 2757 Folio 73 Page 11. [S41901] UK Census 1901 (RG13) - 31 March 1901 RG13 Piece 1229 Folio 120 Page 24. [S41911] UK Census 1911 (RG14) - 2 April 1911 RG14PN2992 RG78PN104 RD32 SD1 ED11 SN89. [S40000] Various websites Oatlands Heritage Group. [S3] GRO Indexes 1866/Q1 Derby Volumew 7b Page 396. [S41871] UK Census 1871 (RG10) - 2 April 1871 RG10 Piece 3569 Folio 31 Page 8. [S41881] UK Census 1881 (RG11) - 3 April 1881 RG11 Piece 3387 Folio 61 Page 14. [S3] GRO Indexes 1886/Q2 Derby Volume 7b Page 576. [S3] GRO Indexes 1908/Q4 Barnet Volume 3a Page 595. [S41911] UK Census 1911 (RG14) - 2 April 1911 RG14PN7135 RG78PN350 RD131 SD1 ED7 SN13. [S3] GRO Indexes 1921/Q4 St Albans Volume 3a Page 871 age 50. [S3] GRO Indexes June 1939 St Albans Volume 3a Page 1087 age 73. 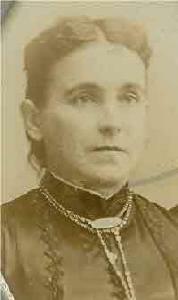 Helen Ann Green was born circa 1867 in Syderstone, Norfolk, England. She married George Robert Hickman, son of Jonathan Hickman and Elizabeth Clarke, on 7 February 1886 in St Werburgs, Derby, Derbyshire, England.1 She was the wife of George Robert Hickman in the 1891 census in Wooley, Brackenfield, Derbyshire, England. 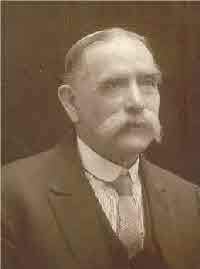 George was a domestic butler living with his wife and children.2 She was the wife of George Robert Hickman in the 1901 census in Dancers Hill, South Mimms, Hertfordshire, England. George was a domestic butler living with his wife and family.3 She died in 1907 in Barnet, Hertfordshire, England, probably in chld birth. She was buried on 2 April 1907 in St Giles, South Mimms, Hertfordshire, England. Arthur George Hickman was born in 1886 in Derby, Derbyshire, England.1 He was the son of George Robert Hickman and Helen Ann Green. He was the son of George Robert Hickman and Helen Ann Hickman in the 1891 census in Wooley, Brackenfield, Derbyshire, England.2 His wife Helen died in 1907 in Barnet, Hertfordshire, England. [S3] GRO Indexes 1886/Q2 Derby Volume 7b Page 668. [S7] Ancestry UK, Railway Employment Records 1833-1956. [S3] GRO Indexes 1882/Q1 Wandsworth Volumew 1d Page 631. [S7] Ancestry All London, England, Births and Baptisms, 1813-1906. [S3] GRO Indexes 1904/Q1 Wandsworth Volume 1d Page 653. [S41911] UK Census 1911 (RG14) - 2 April 1911 RG14PN2518 RG78PN84 RD27 SD3 ED34 SN98. [S3] GRO Indexes 1960/Q2 Dartford Volume 5b Page 378 age 78. Doris Ellen Thomas was born in 1929 in Battersea, London, England.1 She was the daughter of William Arthur Thomas and Annie Elizabeth Baker. She died on 8 May 2013 in Winchester, Hampshire, England. [S3] GRO Indexes 1929/Q2 Wandsworth Volume 1d Page 758. [S3] GRO Indexes 1876/Q2 Wandsworth Volume 1d Page 656. [S3] GRO Indexes 1908/Q3 Wandsworth Volume 1d Page 1000. [S41911] UK Census 1911 (RG14) - 2 April 1911 RG14PN2152 RG78PN74 RD26 SD1 ED9 SN372. [S3] GRO Indexes 1939/Q4 Battersea Volume 1d Page 466 age 63. [S7] Ancestry Surrey, England, Baptisms, Marriages and Burials, 1538-1812. [S7] Ancestry England, Select Marriages, 1538–1973. [S10] Family Search website Indexing Project (Batch) Number: I04800-6 , System Origin: England-EASy , GS Film number: 1279262 , Reference ID: item 1 p 44. [S3] GRO Indexes 1845/Q4 Guildford Volume 4 Page 173. [S7] Ancestry London, England, Births and Baptisms, 1813-1906. [S41851] UK Census 1851 (HO107) - 30 March 1851 HO107 Piece 1594 Folio 455 Page 54 and 55. [S41861] UK Census 1861 (RG9) - 7 April 1861 RG9 Piece 427 Folio 49 Page 48. [S3] GRO Indexes 1865/Q4 Pancras Volume 1b Page 138. [S41871] UK Census 1871 (RG10) - 2 April 1871 RG10 Piece 1496 Folio 67 apge 8. [S3] GRO Indexes 1875/Q1 Hambledon Volume 2a Page 96 age 29. [S3] GRO Indexes 1870/Q4 Kensington Volume 1a Page 104. [S41871] UK Census 1871 (RG10) - 2 April 1871 RG10 Piece 48 Folio 52 Page 21. [S3] GRO Indexes 1875/Q1 Kensington Volume 1a Page 71 age 24. [S41881] UK Census 1881 (RG11) - 3 April 1881 RG11 Piece 32 Folio 84 Page 34. [S3] GRO Indexes 1858/Q1 Guildford Volume 2a Page 47. [S3] GRO Indexes 1881/Q1 Guildford Volume 2a Page 73. [S41901] UK Census 1901 (RG13) - 31 March 1901 RG13 Piece 603 Folio 127 Pages 14 and 15. [S41911] UK Census 1911 (RG14) - 2 April 1911 RG14PN3072 RG78PN110 RD33 SD4 ED6 SN285. [S3] GRO Indexes 1942/Q2 Surrey South Western Volume 2a Page 659 age 84. [S3] GRO Indexes 1864/Q1 Guildford Volume 2a Page 46. [S41871] UK Census 1871 (RG10) - 2 April 1871 RG10 Piece 826 Folio 100 Page 6. [S3] GRO Indexes 1887/Q3 Guildford Volume 2a Page 120. [S3] GRO Indexes 1949/Q1 Camberwell Volume 5c Page 287 age 84. [S498] E-mails between Sandra Clare and Jan Cooper from 9 May 2015 Copy of Birth Certficate. [S3] GRO Indexes 1850/Q4 Hambledon Volume 4 Page 211. [S41851] UK Census 1851 (HO107) - 30 March 1851 HO107 Piece 1597 Folio 395 Page 4. [S41861] UK Census 1861 (RG9) - 7 April 1861 RG9 Piece 438 Folio 183 Page 8. [S41871] UK Census 1871 (RG10) - 2 April 1871 RG10 Piece 826 Folio 85 Page 7. [S498] E-mails between Sandra Clare and Jan Cooper from 9 May 2015 Copy of Marriage certificate. [S3] GRO Indexes 1874/Q2 Dorking Volume 2a Page 216. [S41881] UK Census 1881 (RG11) - 3 April 1881 RG11 Piece 3703 Folio 74 Page 36. [S41891] UK Census 1891 (RG12) - 5 April 1891 RG12 Piece 3067 Folio 92 Page 1. [S41901] UK Census 1901 (RG13) - 31 March 1901 RG13 Piece 3571 Folio 153 Page 16. [S41911] UK Census 1911 (RG14) - 2 April 1911 RG14PN23114 RG78PN1350 RD459 SD1 ED13 SN336. [S498] E-mails between Sandra Clare and Jan Cooper from 9 May 2015 Copy of Death Certficate. [S3] GRO Indexes 1923/Q2 Warrington Volume 8c Page 166. [S498] E-mails between Sandra Clare and Jan Cooper from 9 May 2015 Copy of Gravestone. [S3] GRO Indexes 1866/Q3 Guildford Volume 2a Page 61. [S41881] UK Census 1881 (RG11) - 3 April 1881 RG11 Piece 776 Folio 84 Page 33 and 34. [S3] GRO Indexes 1887/Q1 Guildford Volume 2a Page 84. [S41891] UK Census 1891 (RG12) - 5 April 1891 RG12 Piece 1158 Folio 45 Page 45. [S41901] UK Census 1901 (RG13) - 31 March 1901 RG13 Piece 1371 Folio 78 Page 3. [S3] GRO Indexes 1930/Q2 Reading Volume 2c Page 426. [S3] GRO Indexes 1933/Q3 Reading Volume 2c Page 346 age 67. [S498] E-mails between Sandra Clare and Jan Cooper from 9 May 2015 Copy of Birth certificate. [S3] GRO Indexes 1854/Q4 Guildford Volume 2a Page 41. [S498] E-mails between Sandra Clare and Jan Cooper from 9 May 2015 Copy of Death certificate. [S3] GRO Indexes 1946/Q1 Ince Volume 8c Page 127 age 91. [S3] GRO Indexes 1844/Q1 Guildford Volume 4 Page 163. [S3] GRO Indexes 1848/Q2 Guildford Volume 4 Page 181. [S3] GRO Indexes 1869/Q4 Guildford Volume 2a Page 103. [S41871] UK Census 1871 (RG10) - 2 April 1871 RG10 Piece Folio 18 Page 2. [S41881] UK Census 1881 (RG11) - 3 April 1881 RG11 Piece 773 Folio 28 Page 1. [S3] GRO Indexes 1889/Q1 Guildford Volume 2a Page 46 age 40. [S3] GRO Indexes 1838/Q3 Guildford Volume 4 Page 186. [S3] GRO Indexes 1893/Q1 Guildford Volume 2a Page 63 age 50. [S3] GRO Indexes 1851/Q1 Guildford Volume 4 Page 212. [S3] GRO Indexes 1866/Q2 Fordingbridge Volume 2b Page 563. [S3] GRO Indexes 1888/Q1 Dorking Volume 2a Page 64. [S3] GRO Indexes 1908/Q1 Henley Volume 3a Page 1200. [S41911] UK Census 1911 (RG14) - 2 April 1911 RG14PN6555 RG78PN325 RD120 SD2 ED11 SN20. [S3] GRO Indexes 1976/Q1 Reading and Wokingham Volume 19 Page 0603.